For mounting equipment with max. 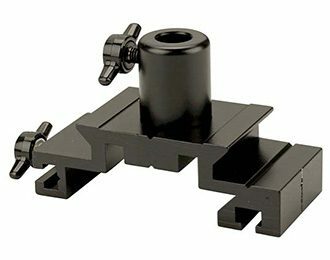 diameter 10 mm mounting post. Made from black-painted metal, with a measuring line and thumbscrews. The Saddle with 10 mm hole (SF-7262) is a component of the Complete Compton Scattering (SF-7277).